The legendary Boundary Pack is perfect for everything from canoeing and canyoneering to protecting your gear on trains, buses, and burros. It features our watertight Dry Seal roll-top closure, along with a heavy-duty, 30-ounce scrim-reinforced vinyl bottom and 19-ounce scrim-reinforced vinyl body. The legendary Boundary Pack is perfect for everything from canoeing and canyoneering to protecting your gear on trains, buses, and burros. 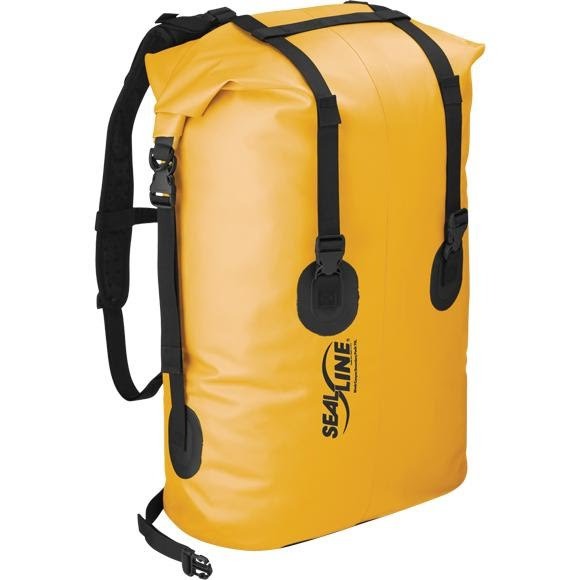 It features our watertight Dry Seal roll-top closure, along with a heavy-duty, 30-ounce scrim-reinforced vinyl bottom and 19-ounce scrim-reinforced vinyl body. A lightweight suspension system includes waterproof and ventilated shoulder straps, as well as a waist belt on every size. The 70L closes with side-cinch buckles. Measurements 9" x 17.5" x 25"